Welcome to my latest BEST OF CRIME feature, looking at crime writers' top picks, from their favourite author and fictional detective to their best writing tip. This is brutal. Just one? There are so many talented people working in the business today, with such starkly disparate voices, it’s almost impossible to compare them (Megan Abbott versus Lee Child? Linwood Barclay versus Val McDermid?). But if I had to pick one I’d go with a person who, in the last fourteen years, has written one of the most ambitious, sweeping, epic crime stories ever in the trilogy that began with Power of the Dog; and a novel and a prequel (Savages and Kings of Cool) that were almost the exact opposite in both scope (much smaller) and tone (hilariously irreverent); and, just to show even more range, an unforgettable character study about a crooked cop—call it an anti-police procedural—called The Force. That’s why I’ll say the Best of Crime authors working today is . . . Don Winslow. When I bump across this movie on TV, I can somehow never turn it off, no matter how many times I’ve seen it. Great characters. Gritty setting. Terrific twists. Also, if I could pick one person to narrate the story of my life, it would be Morgan Freeman. That’s why the Best of Crime movie is . . . Shawshank Redemption. I was a newspaper reporter in an economically depressed American city for many years. I watched the ravages of the drug trade, and the dysfunction of the institutions that attempted to curtail it. Therefore, pity my wife, with whom I watched the bulk of this five-season classic, because I was constantly pausing it, saying, “No, honey, you don’t understand. That’s actually real! That really happens!” That’s why the Best of Crime TV drama is . . . The Wire. As long as we’re talking about The Wire, there’s nothing better than a gay, scar-faced vigilante who only kills drug dealers and walks around in a trench coat, with a shotgun, saying things like, “You come at the king you best not miss.” That’s why the Best of Crime fictional killer is . . . Omar Little. You can have all the action heroes you want. I’ll take a guy who tends orchids, almost never leaves his house, and is mostly concerned about what’s for dinner. He weighs a seventh of a ton, so he’s not going to run down any criminals, yet he always seems to get the killer. That’s why the Best of Crime fictional detective is . . . Nero Wolfe. An eleven-inch long twig, made of holly, with a feather at the core. Snaps easily. Doesn’t have a single sharp edge. Couldn’t shoot a bullet if it wanted to. And yet it takes down the most notorious badass off all-time with a simple disarming spell. That’s why the Best of Crime murder weapon is . . . Harry Potter’s wand. It’s difficult to talk about this scene without spoiling, y’know, the entire book. I’ll just say it is jaw-dropping, gut-wrenching, utterly shocking and yet—when you go back over everything in your mind—also completely justified. That’s why the Best of Crime death scene can be found on the final page of . . . Defending Jacob. I have to be honest, I’m pretty lazy as a writer. I go for ease every time. And I don’t really remember how I researched anything before this ingenious little algorithm came along. That’s why the Best of Crime website is . . . www.Google.com. Writing is like a muscle. The harder you work it, the stronger it gets. All the caffeine and none of the calories. And I haven’t written a word over the past decade-plus that wasn’t fueled by its influence. That’s why the Best of Crime writing snacks is . . . Coke Zero Sugar. 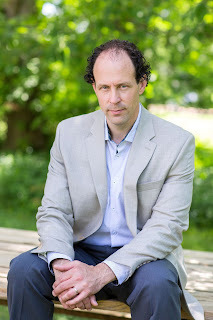 International bestselling author Brad Parks is the only writer to have won the Shamus, Nero, and Lefty Awards, three of crime fiction’s most prestigious prizes. His novels have been translated into fifteen languages and won critical acclaim across the globe. A former journalist, he lives in Virginia with his wife and two children. 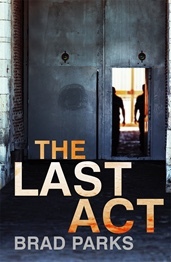 The Last Act was published by Faber & Faber on 14 March 2019. Look out for more BEST OF CRIME features coming soon. 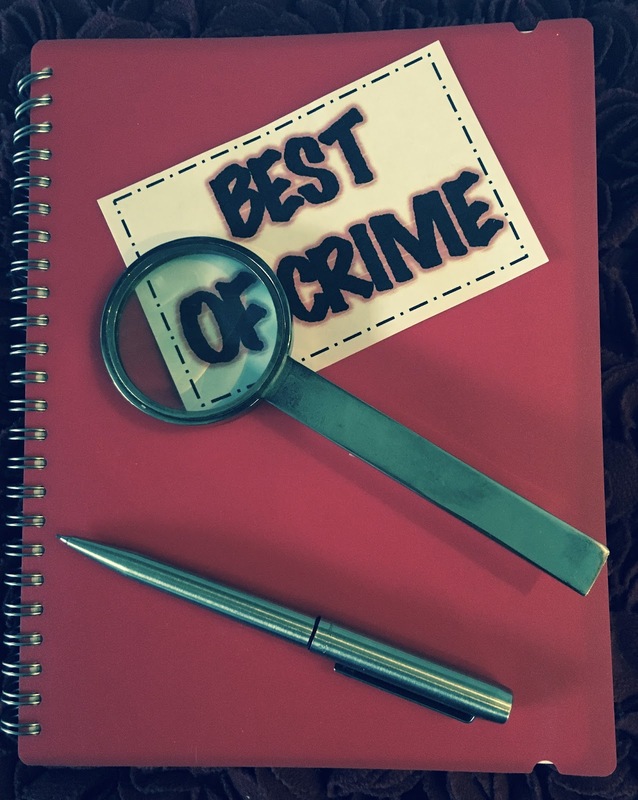 Click here to read more BEST OF CRIME features. I laugh at any of Brad's interviews, but I really liked his answer to Best murder weapon. Thanks for a fun interview. Brad Parks has been a go-to of mine for ages (since his first book, come to think of it), but listing Nero Wolfe? I like him all the more! !